Find the most amazing mountain hikes in South America. There are 272 tours to choose from, that range in length from 3 days up to 62 days. The most popular month for these trips is October. 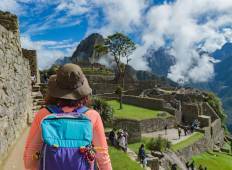 "After going on OneSeed's Ultimate Peru trip this May, I cannot wait until my next..."